I am currently living in Johns Creek, GA, a northern sub of Atlanta. I am raising 120 wonderful kids that ride my school bus every day. I have recently completed my third book titled, ONLY GOD CAN MAKE A BUZZARD. It's an autobiography of my childhood from 7 to 14, growing up right there in Hinckley. I think you will be surprised to see some of our classmates in the book. (ie. pictures of Janet's birthday party in '54) Just came out in hardback and available in your local book stores and amazon.com. Miss you all a bunch. Hope to see ya'all at the reunion. Bob Blazak has a birthday today. Bob Blazak posted a message. 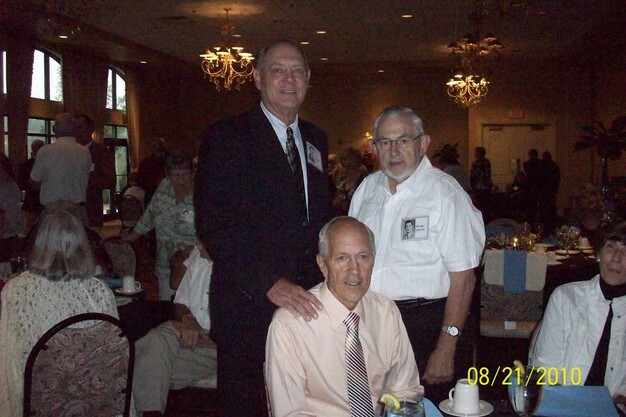 Gary L Bolte posted a message on Bob Blazak's Profile. Happy Birthday Bob. Glad to hear you are still rehabbing well. You'll be jumping out of airplanes before you know it. Bob Blazak has a birthday today. New comment added. HI THERE SUNSHINE! YOU BEAT ME AGAIN! EVERY YEAR YOU SNEEK YOUR BIRTHDAY AHEAD OF MINE. GO FIGURE?! ENJOY! I WISH YOU MANY MORE.